The company likewise strives to constantly introduce innovative concepts such as the Spatial condo series, all-studio condominiums for yuppies, oasis-themed mid-rise enclaves, Versaflat units that merge home and office, and more, to tap new markets with huge growth potential. Filinvest Land, Inc. (FLI) is one of the leading real estate developers in the Philippines. It is a subsidiary of Filinvest Development Corporation (FDC), which has more than 40 years of experience in real estate development. Founded by Mr. Andrew L. Gotianun, Sr., FDC is the holding company of the Gotianun Family. Originally engaged in the small-scale financing of second hand cars in 1955, the Gotianun Family’s business later expanded into consumer finance in partnerships with foreign institutions such as Chase Manhattan Bank, Westinghouse Electric Corporation and Ford Philippines. By the early 1980’s, the Gotianun Family’s Filinvest Credit Corporation had become one of the leading consumer finance companies in the Philippines in terms of assets, and the “Filinvest” name had become well-recognized in the Philippines. The Gotianun Family entered the real estate business in 1967 through the incorporation of Filinvest Realty Corporation, which engaged in the development of residential subdivisions. In 1984, the Gotianun Family consolidated their real estate interests in FDC after divesting their shares in two family-owned banks, Family Bank and Trust Company and the Insular Bank of Asia and America. By 1990, FDC expanded its product line to include the development and sale of low-cost and medium-cost housing units. real estate operations and transferred all related assets and liabilities to Filinvest Land, Inc. in exchange for shares in Filinvest Land, Inc. . Filinvest Land, Inc. was listed on the Philippine Stock Exchange (PSE) on October 25, 1993. FDC remains Filinvest Land, Inc.’s largest shareholder, beneficially owning approximately 51% of Filinvest Land, Inc.’s outstanding common shares and all of its outstanding preferred shares. Filinvest Land, Inc.’s business has historically focused on the development and sale of affordable and middle-market residential lots and housing units to lower and middle-income markets throughout the Philippines. It has developed over 2,100 hectares of land, and provided home sites for over 110,000 families, which makes it one of the largest home providers in the Philippines today. In recent years, Filinvest Land, Inc. has expanded its residential business to include other income segments (high-end) and themed residential projects with a leisure component, such as farm estates and developments anchored by sports and resort clubs. (a) Homes situated on small lots designed to be expanded vertically through the addition of a second storey without requiring the occupants to vacate the home while the second storey is being added. (b) The “Entrepreneurial Village” or “Asenso Village” concept which is the result of a collaborative effort with the Government to allow entrepreneurs with small- and medium-size businesses to live and work in a residential development with access to Government agencies that assist small businesses. 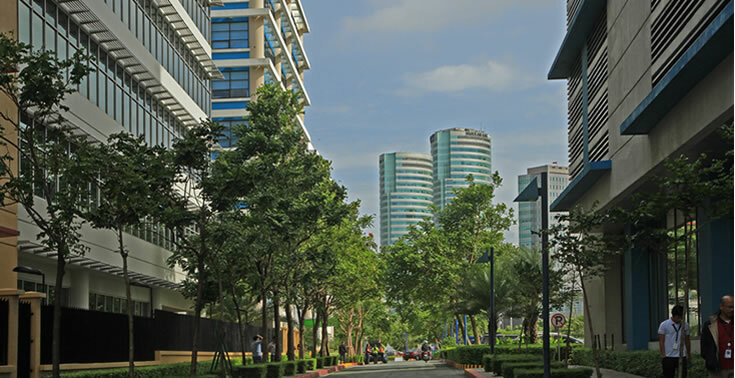 Filinvest Land, Inc. is also a pioneer in the development of very large master-planned township developments which provide a convenient mix of commercial, industrial and residential uses. 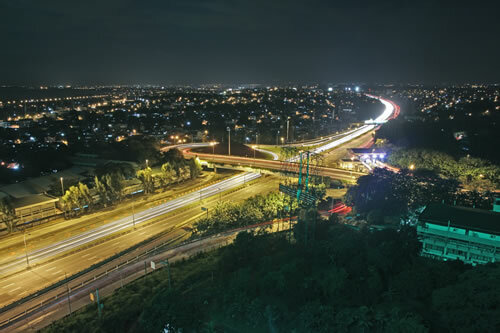 Filinvest Land, Inc. currently has over 100 projects located in 39 cities and municipalities nationwide. The Company has an extensive network of sales offices, in-house sales agents and independent brokers located throughout the Philippines, as well as accredited brokers in countries and regions with large Overseas Filipino Workers (OFW) and expatriate Filipino populations (such as Japan, Italy, the United Kingdom and the Middle East). Approximately half of Filinvest Land, Inc. real estate sales are directly or indirectly derived from Overseas Filipinos (OFs).